Route. 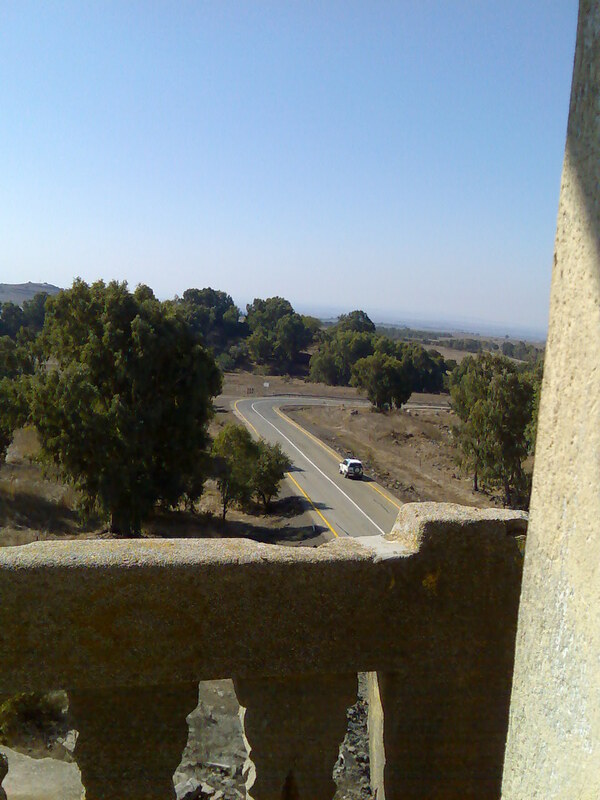 The mosque is said to stand on Highway 87, between the crossroads of Keshet and Bashan. 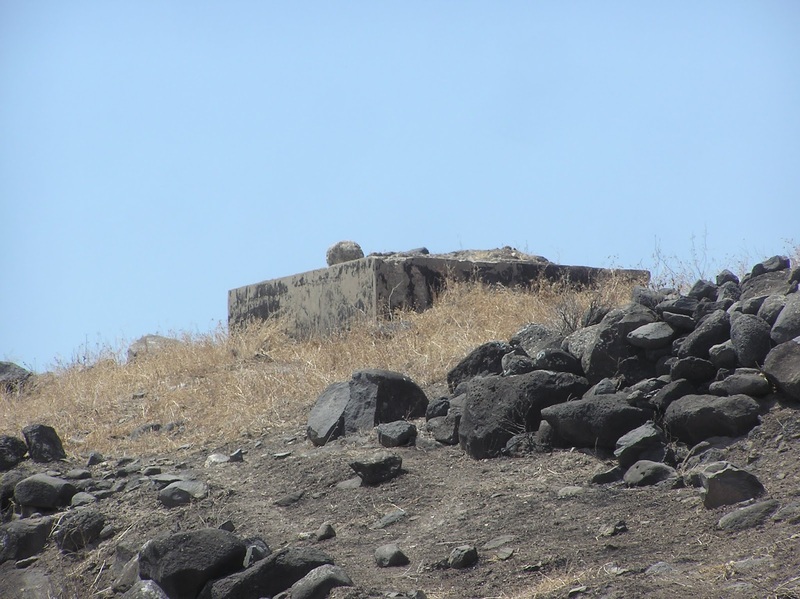 There were a few Syrian and Cherkess mosques in the Golan Heights, but almost all of them are destroyed now. 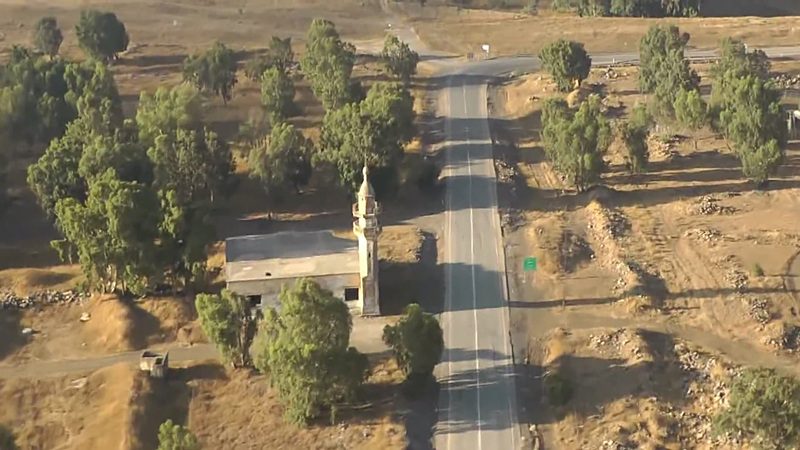 One of the saved mosques is located in the former village ‘Uweynat al-Janubiyeh (1.5 km to the west from Israeli moshav Kidmat Tsvi). This mosque was built in 1950-s for the Syrian soldiers who were allocated in ‘Uweynat al-Janubiyeh. The exterior of the building looks like military barracks: the concrete walls, narrow firing windows, a squat four-corner minaret which resembles a watch-tower. When the Golan Heights were occupied by Israel in 1967, village ‘Uweynat al-Janubiyeh became depopulated. 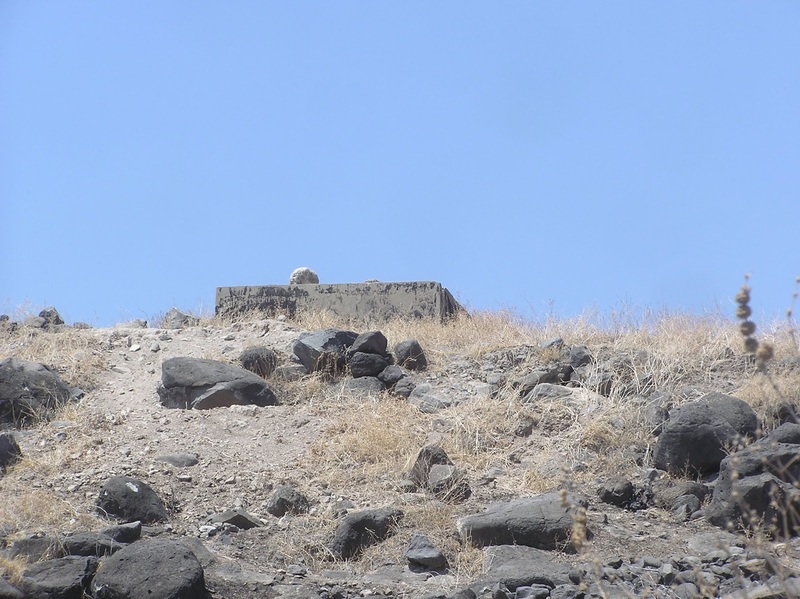 The mosque still stands on the hill, but one cannot enter as the floor is covered with excrements. That is because the Jewish settlers from Kidmat Tsvi were keeping the cattle there; and when there were too much manure, they took the cattle to another place and did not clean the mosque. Route. 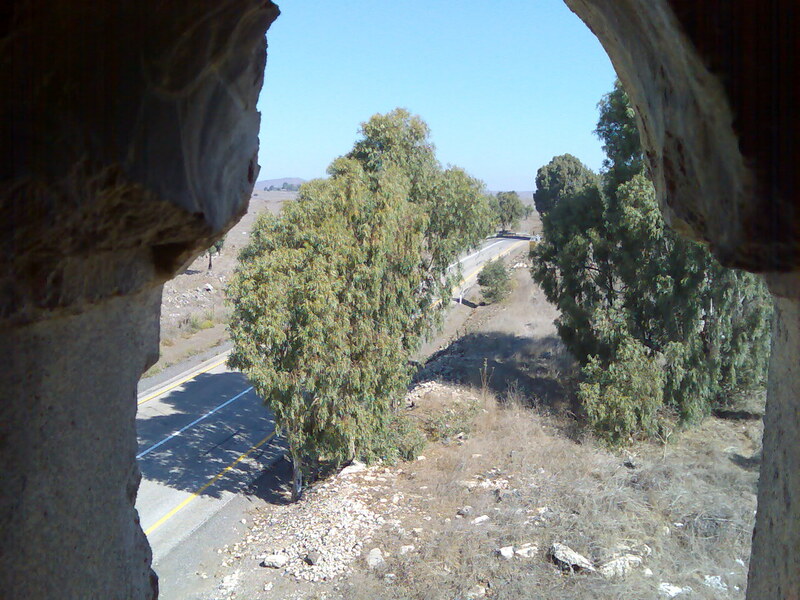 From the 16th km of Highway 91 (after crossroad Nashot) turn right to the North, to a track road leading to Nahal Gilbon (Jalaboun Stream). The mosque is 850 m from the turn.